After you escaped the perilous Valashmai Jungle on a makeshift vessel, you could have licked your wounds and continued to the nearest safe harbor. But you then noticed flashes of light sparking above the treetops of the jungle. Your curiosity won out over your caution, and you followed the light to a fascinating ancient ruin. Will your curiosity be the death of you when one of the jungle's legendary kaiju catches your scent? 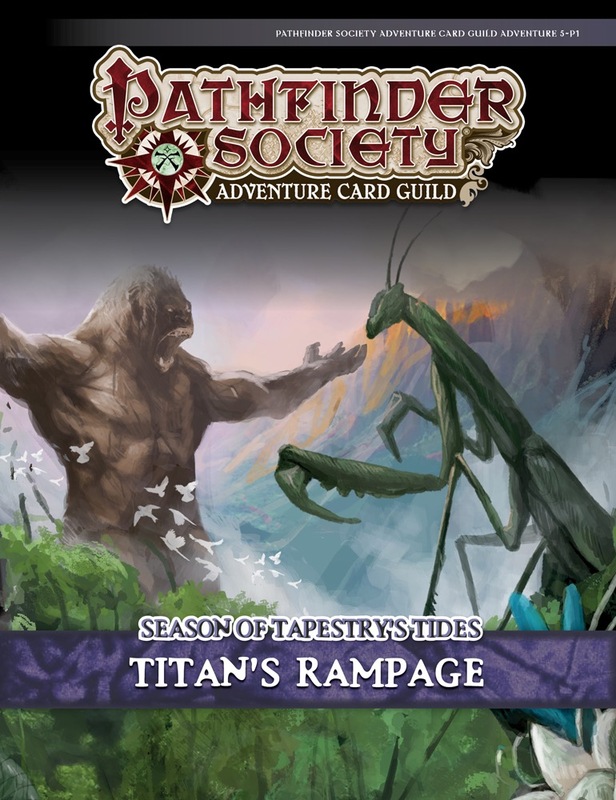 This Pathfinder Society Adventure Card Guild scenario bundle contains a challenging bonus scenario for the Season of Tapestry's Tides and a Chronicle sheet for players to keep track of their progress. 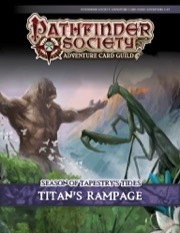 These scenarios require the Skull and Shackles Base Set as well as the Raiders of the Fever Sea and Tempest Rising Adventure Decks. Groups of 5 or 6 players also require the Skull and Shackles Character Add-On Deck. Mechanical Design by Keith Richmond. Story by Linda Zayas-Palmer. This is played at adventure deck 4 and also requires the Island of Empty Eyes Adventure Deck. Please update the description, thanks! Just played this last night. It was fun. :) And bonus power feats are always welcome.